Tarawa is a remote a coral atoll in the middle of the Pacific. It’s peaceful – not the first place you’d expect to find a man stabbed to death, missing his eyeballs. Enter Detective Sergeant Louisa Townsend all the way from Edinburgh, coincidentally on the island and ready to help find the killer. She reckons the odds are in her favour – there are only 35,000 inhabitants after all. However, a rumour is circulating that the victim’s eyes were ritualistically eaten… then two more bodies are discovered. 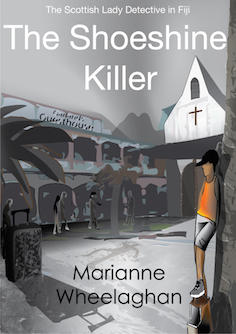 It could be cannibalism, Townsend has no forensics to rely on, and things are a lot darker than they should be on this paradise island. 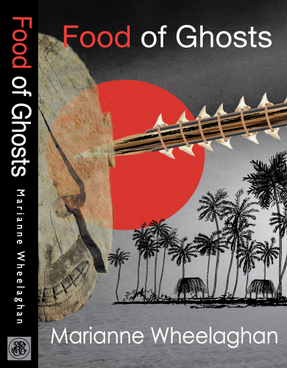 Author Marianne Wheelaghan actually lived on Tarawa for 5 years, fell in love with it, but used a tragic incident that happened there as the inspiration for her novel. Irish journalist Anthony Quinn’s debut has been released by Mysterious Press, and he joins its roster of quality authors. The Disappeared centres on David Hughes, an ex-Special Branch agent, but he’s gone missing in contemporary Northern Ireland after looking into the cold case of Oliver Jordan, kidnapped by the IRA decades ago. Another former spy disappers after, curiously, placing his own obituary in a newspaper. Are the ancient hatreds of the region’s dark past being stirred up? Can Roman Catholic cop Celcius Daly negotiate the sectarian minefield of Protestant Ulster and solve this series of murders, digging up a past so many would sooner forget? Missing Daughter, Shattered Family is author Liz Strange’s second book in her David Lloyd series. 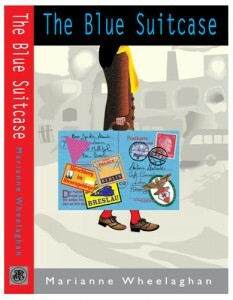 It won the Rainbow Award in Mystery for 2012 and was on the 2011 Independent Mystery Awards shortlist too. It’s unusual to find a gay detective in crime fiction, but that’s what we have here – David Lloyd has become a private investigator after leaving the police due to a horrific, homophobic attack. This time out he’s digging into a missing persons case and in doing so realises he has not dealt with what happened to him, and can no longer cope with his long-time partner’s fear of being honest about their relationship. This is both a mystery and a romance, and it’s not your usual crime fiction fare, to be sure. A year has gone by since the down to earth and friendly Kris Kartofski saw his marriage break down, and now he’s finally ready to start over again. He meets Janis, and the potential’s there. She invites him to a ranch near Fort Worth, Texas, to meet her family. However, they turn out to be very different than what he expected. Curiously, Kartofski is the only male character in the book. Although Slaughterhouse is set in Texas, author Amaya Ellman is English so it may be interesting to find out what she makes of the Lone Star State. She compares her psychological thriller to The Wasp Factory by Iain Banks, and Misery by Stephen King. You can read a sample chapter here. Action and a touch of humour come together in this story about PI Jackie Blue, who’s usual cases involve snapping photos of people suspected of insurance fraud. Things heat up for her though when she’s asked to investigate a diamond theft claim worth $1.9 million. What she uncovers is a multinational criminal operation. The supporting cast includes probation officer Rocky Venezuela and bounty hunter Hugh Barclay who join her on this quest to bust the ring of jewel thieves. Bullets fly, homes are ransacked, and the bodies pile up. The ending promises to surprise the savviest of readers, it says in the blurb. Blue Ice may appeal to fans of Janet Evanovich’s Stephanie Plum series, or JA Konrath’s Jack Daniels series. Author Mark Rubinstein graduated with a business degree, served in the Army as a field medic, went to medical school and became a practicing psychiatrist. Now he’s a crime fiction author and has released Mad Dog House via Thunderlake Press. In Mad Dog House we meet Roddy Dolan, a successful suburban surgeon. But, he has a past, and one that nearly landed him in jail at 17. When he’s approached by an old friend about becoming a silent partner in a Manhattan steakhouse, he’s understandably wary. So he consults lifelong best friend Danny, who thinks it’s a vanity project. Roddy allows himself to be sucked in though, and discovers there’s a whole world behind the restaurant venture – Mafia bosses, Russian thugs, and shady dealings mean what looked a good thing soon turns into a monster. Ryan Drake used to be in the British Army, but now he’s got his Green Card and is leading a CIA unit that tracks down missing agents. Admittedly this is more an action thriller than a crime fiction novel but it’s Will Jordan’s debut and he puts Drake through a high octane experience that begins with freeing a prisoner codenamed Maras, and bringing her back to the US. Tough as cracking a high security Siberian prison might seem, that’s just the beginning because soon Drake and Maras are on the run themselves, being hunted by his former CIA colleagues as the story takes off to Saudi Arabia and Iraq. Will Jordan is currently working on the second novel in the series, Sacrifice. Down and out due to cocaine use, Dan Marlowe is working as a bartender in the restaurant he used to own. He hopes his life is getting back to normal, but then two dead bodies are found in a boat that’s been wrecked at Hampton Beach pier. They were drug runners and Dan heads off to find the 200 kilos of powder – it’s worth a fortune and could help him get his life back on track. But he’s not the only one with that in mind. A Boston mobster, a New Hampshire dealer along with his girlfriend and muscle-man buddy, a DEA agent, and two policemen are also hunting down the loot. Interestingly, the real Dan Marlow, author of the Drake series popular in the 1960s and 70s, was the best friend of this writer’s father. Marlow named a character in one of his books Jed and now the favour has been returned. Since 2007 Georgia native JD Bowen has been self-publishing his books about ex-special forces hero Jon Archer, and Red Herring follows on from National Hate Crime and Hostile Takeover. This one seems like a timely read after the US election. In it a shady assassin is heading to the White House to take down a Democrat president whose health bill could ruin the fortunes of a powerful family. Red Herring is a fast-paced crime drama with a twist of politics and, as you might be able to guess from the title, plenty of surprising revelations.